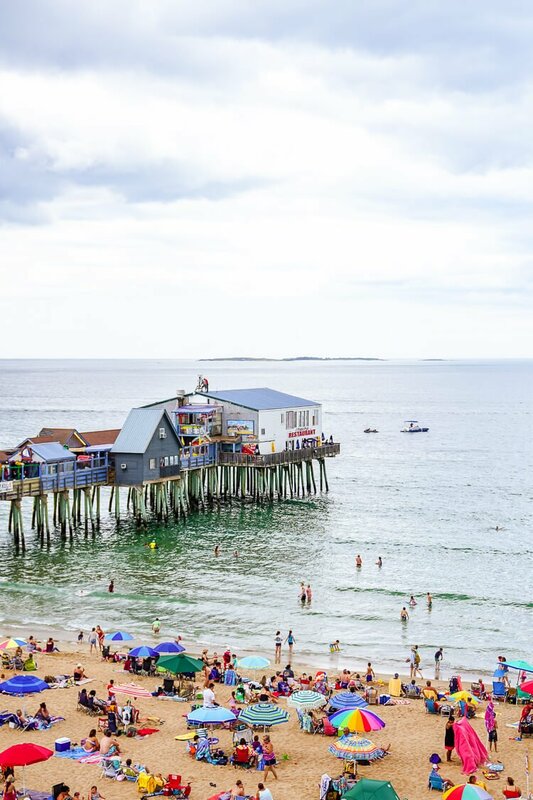 Planning a summer trip to Maine, make sure you add Old Orchard Beach to your itinerary! 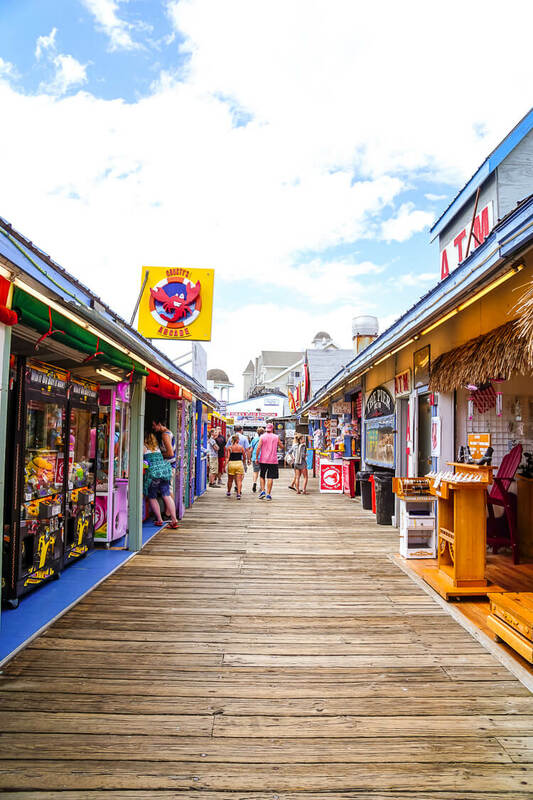 The Pier, beach, food, and amusement park are a summer MUST! There’s no time like summertime to be a tourist in your own home state. This is especially true when your home state is Maine, and you want to squeeze in as many adventures as you can before you get pummeled by a spontaneous snowstorm. Last week, my friend and I finally made the 2-hour trip to one of the state’s must-see summer destinations: Old Orchard Beach! 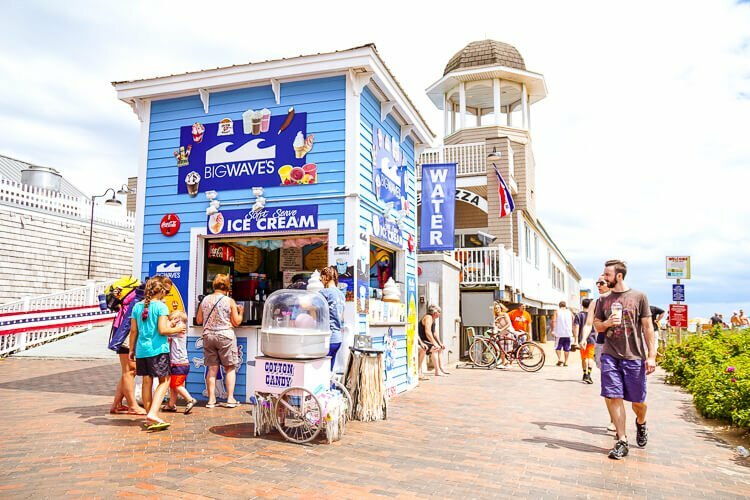 Although I am a born and raised Mainer, I’d never made it to this seaside hub, where a huge pier stretches out into the water, kitschy shops line the strip, and an amusement park overlooks the beach. 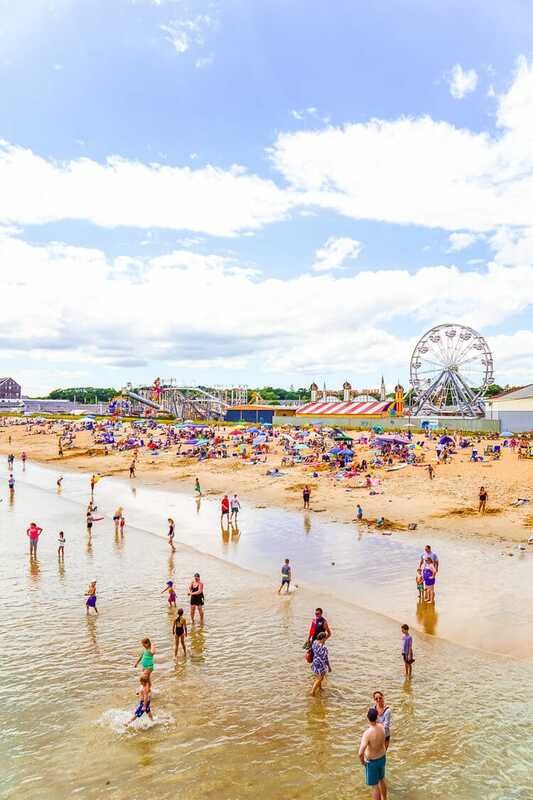 Tourists visit the area to ride the Ferris wheel and bar-hop by the beach; locals make the annual trip to get their fill of pier fries, plus a few boxes of salt water taffy. As we walked down the brick-lined sidewalks toward the hustle and bustle, I felt like I was at a carnival. Music played, lights flashed, and storefronts boasted everything from cheesy souvenirs to locally made gourmet candy. The closer we got to the beach, the thicker the crowd grew, buzzing around food vendors that produced cotton candy, fried dough, ice cream, and pizza. You can imagine the indulgent smell that hung in the air. Yum! Since it was hot, we went straight for the shore to dip our toes into the water. 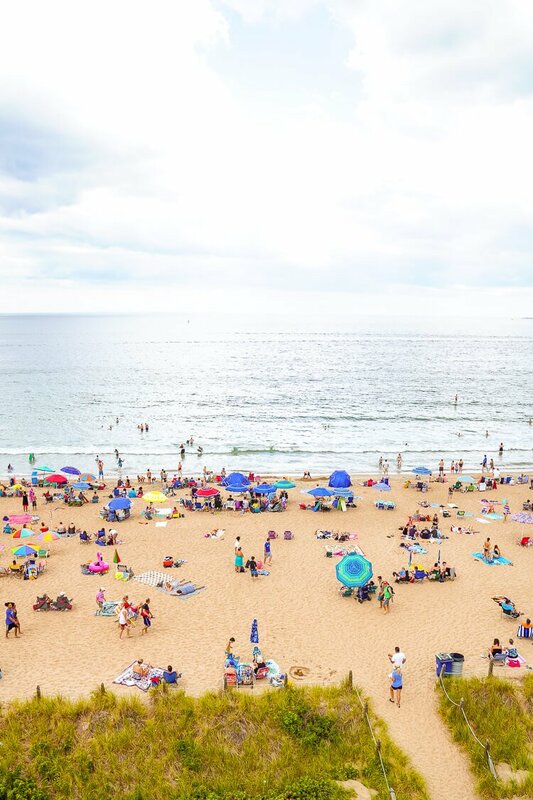 New Englanders know that even on the stickiest of days, the ocean remains a frigid oasis. Judging by the sea of sherbet umbrellas and towels that lined the sand, lots of others were trying to cool off, too. After wading in the water, I felt completely refreshed. On to the next order of business: tasting the f Iceamous snacks of Old Orchard Beach! This meant we had to stop at Bill’s Pizza. A local favorite, Bill’s served us huge slices of thin crust pizza at a fair price. Plus, it paired great with the pier fries, which were thick and wavy cut, overflowing out of the cardboard carton that they were served in. We topped our pile of golden goodness with the traditional sprinkle of salt and splash of vinegar. That’s when I began to wonder how I’ve lived for 26 years without tasting these. After we were stuffed, we decided to play off some calories at the arcade! All around me were families laughing at the challenge of friendly competition, collecting tickets and comparing scores. I popped a few tokens into a game and shot at furry, taunting targets, receiving a handful of tickets once the game was over. 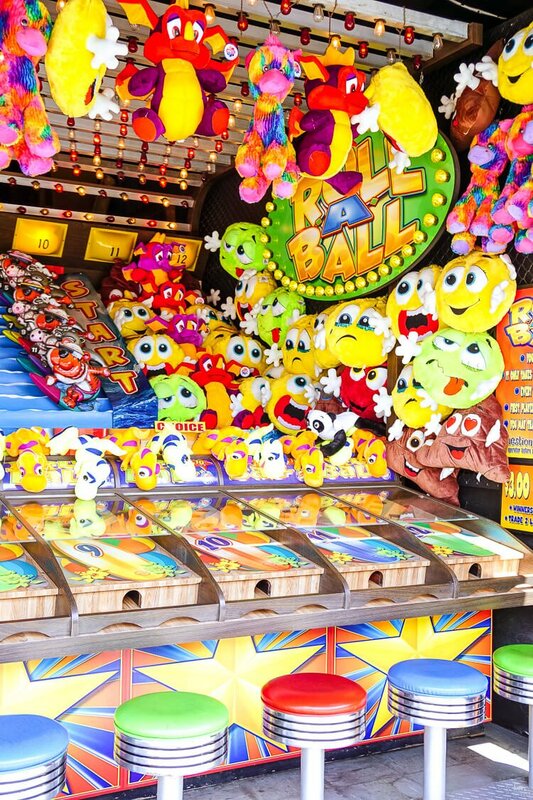 We laughed over a few rounds of air hockey and Skee-Ball, then tried our hands at a water gun game where we tried to win stuffed animals as we tested our aim (no such luck). I couldn’t remember the last time I’d played an arcade game, but it was really fun—no wonder the adults seemed to love coming here as much as the kids! Still feeling youthful (and less stuffed with fries), we decided to hit some rides at Palace Playland. Our first stop was the Galaxi Coaster, a ride with vintage-looking red carts that race on spirals of steel tracks. There’s a gut-fluttering drop, but the most “thrilling” part was feeling like the car was going to fly right off the tracks! Luckily, we lived to tell the tale and headed toward the beach’s landmark Ferris wheel. We waited a short while in line, but it was more than worth it. From the top, we overlooked the expanse of the beach, the pier, the theme park, and the crowds of people that looked tiny from above. With our feet on the ground, we had one more destination to check out before heading home. Dickinson’s Candy was a huge, sugar-filled store—aka, my version of Heaven—that was lined wall-to-wall with jelly beans, gummy bears, chocolates, and more. I learned that the company even makes their own fudge, taffy, and popcorn in caramel, cheese, and kettle varieties, just to name a few of their concoctions. Wanting to try everything, I may have picked up a few bars of fudge, a bag or two of popcorn, a few boxes of saltwater taffy…you get the idea. But it’s summer in Maine after all, and as beautiful as it is, it’s just as fleeting. I had such a blast down at Old Orchard Beach, I’m definitely planning on making this an annual trip, at the very least. I’d love to go back in the fall, when the weather is cooler, the foliage is beginning to turn, and it’s much less crowded. With its slew of “famous” foods, it’s no wonder that locals make sure get their fill of favorites in the summer before everything closes down in the winter. 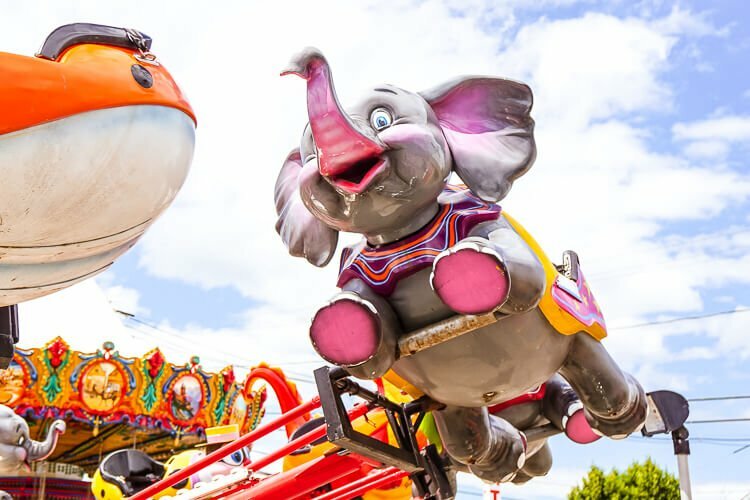 Plus, the arcade games and carnival rides mean that there are tons of things for kids to do—and for adults who want to feel like kids for a while. 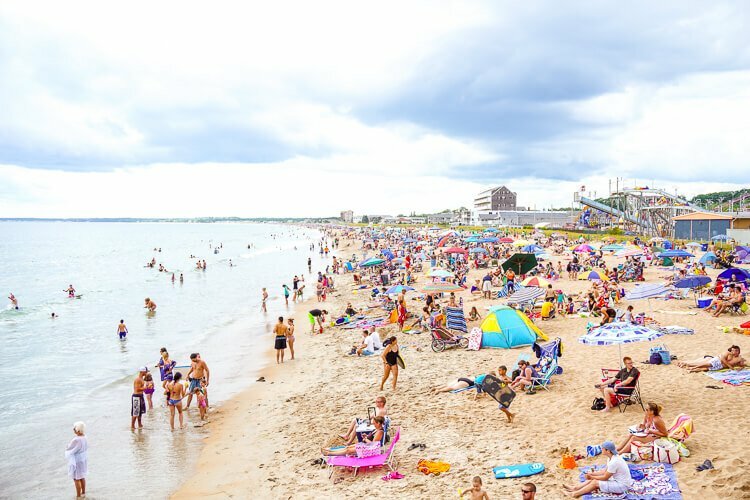 If you’re thinking about planning a trip to Old Orchard Beach with your friends and family. I do have a few tips and a bit of info that might help make your planning a little easier. The quietest days to visit in the summer are Tuesday and Wednesday, we went on a Tuesday. It will still be a bit crowded, but I don’t even want to begin imagining what it must be like on the weekend. 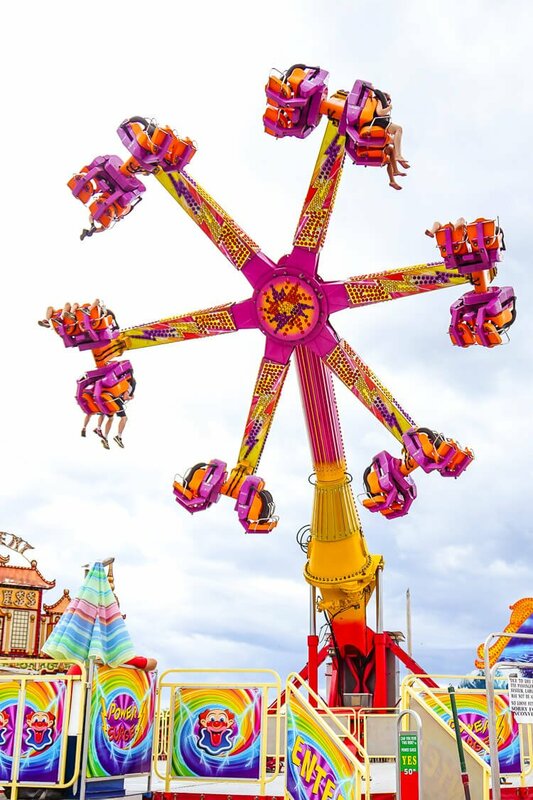 Go early for the rides and food and late for the beach. Most people hit up the beach during the hottest hours of the day, leaving short lines and open tables. When everyone packs up for the day, you can enjoy the sunset on the beach with some actual leg room. Parking: $2/hour at the meter. All-day parking lots range from $8 to $10 Monday through Friday and can be as much as $20 Friday through Sunday. 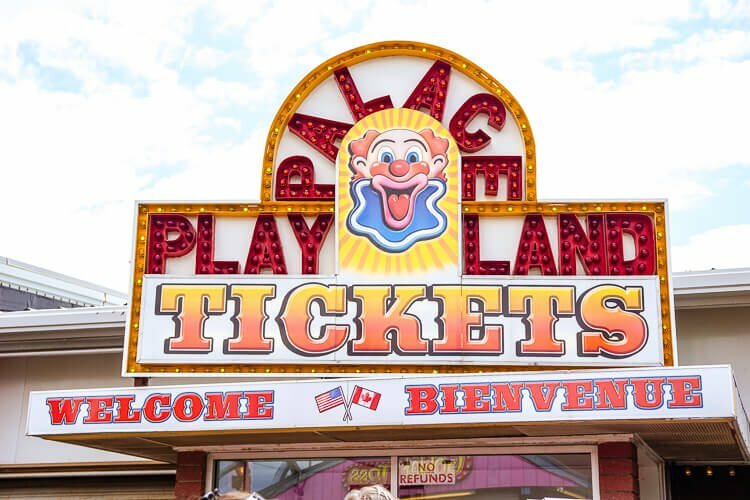 Palace Playland doesn’t open until 12 on the weekdays in the summer. You can find out all the information you need on the park here. Bathrooms on the pier cost 50¢ to use, the ones in Palace Playland are free but don’t open until later in the day with the park. Next time we visit Old Orchard Beach, maybe even this fall, I’d love to go back with my husband, Matt. Maybe we’ll get a few drinks on the pier as we look out onto the ocean. 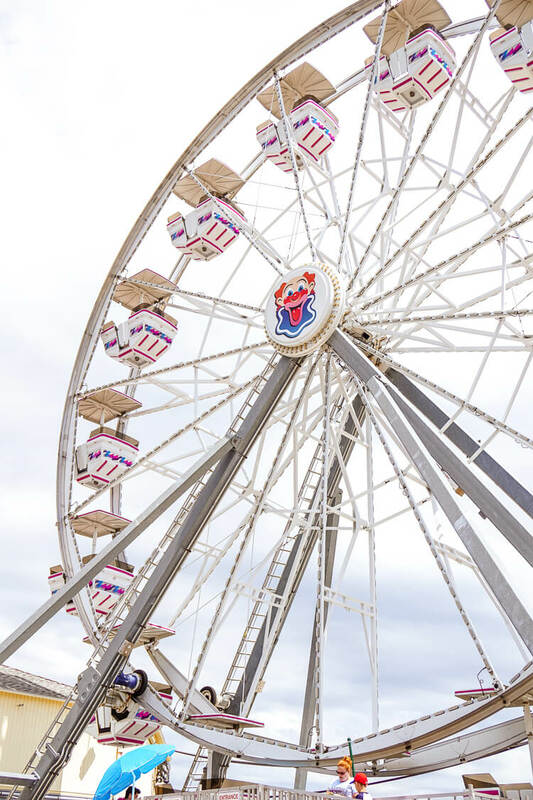 We might even gaze out at the view from the top of the Ferris wheel, overlooking the beach and the gem-colored leaves of autumn. If you’re visiting Maine, don’t forget to check out these other Maine Gems! Thanks for the tips! I’ll be visiting this Summer!